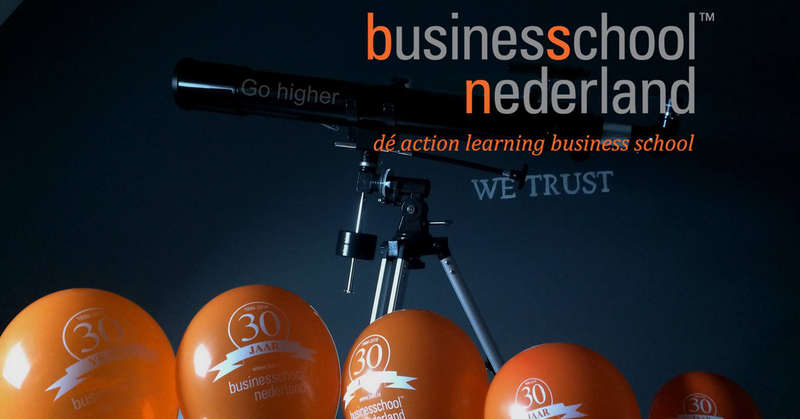 Business School Netherlands celebrates her 30th birthday! 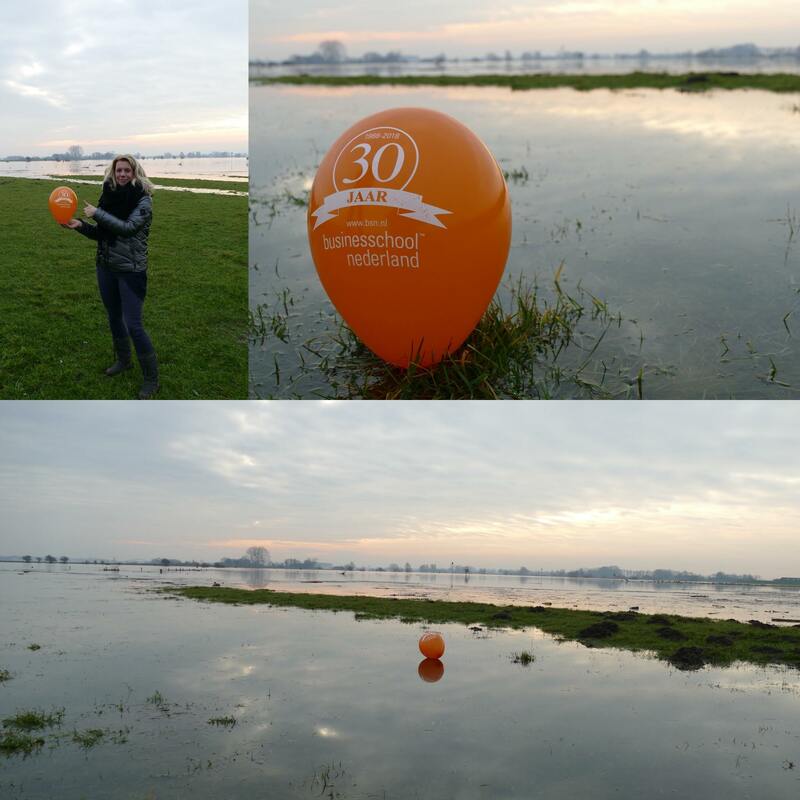 Under the guise of ‘plant your flag here’, we created the ‘plant your balloon here’ challenge in celebration of our anniversary. The idea was to have our jubilee balloon travel around the world and appear in the most unique places. ‘Blow me up and make a picture’! Of course we couldn’t achieve this without you, so we called on everyone to help us. The only requirement we made was: let your creativity run wild! 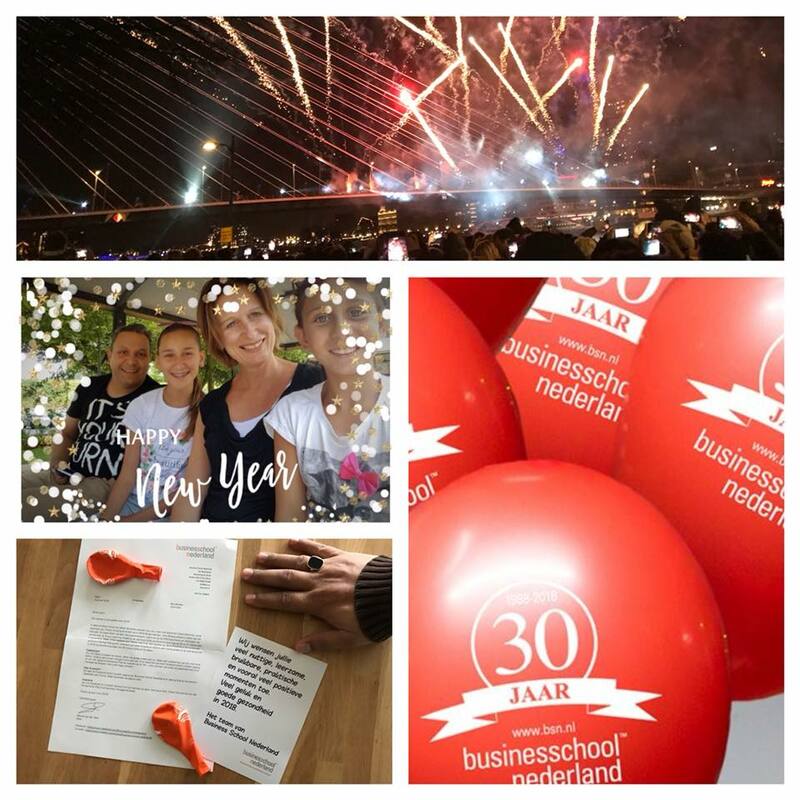 The submitted photos were shared on our social media pages and published on our website, where everyone could vote for their favourite. 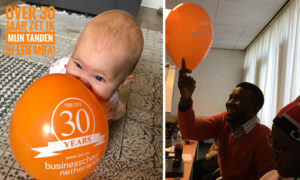 The photo with the most votes would win a personalised iPad whilst the runner-up would receive a management book of their choice, selected from five titles. 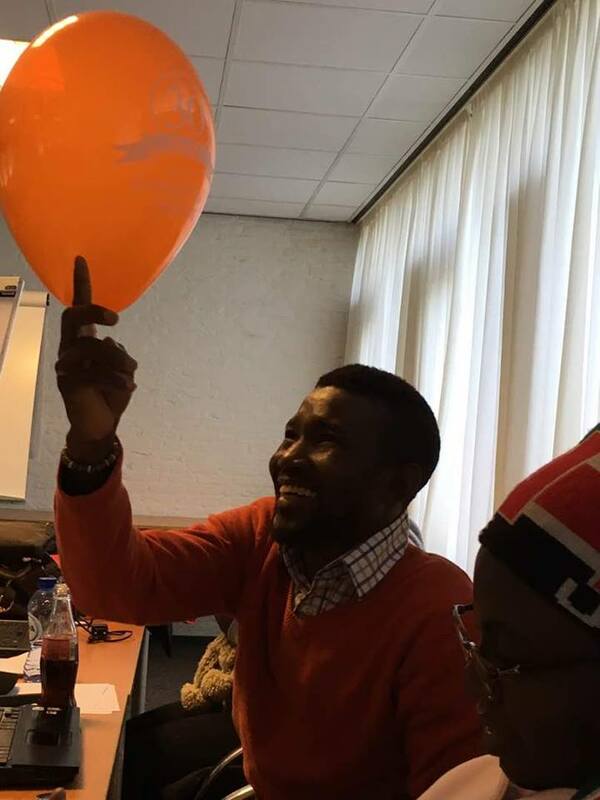 The journey started with our enthusiastic international students who took various pictures with the balloon in Buren. Also, a number of breath-taking pictures have been shot throughout the Netherlands. 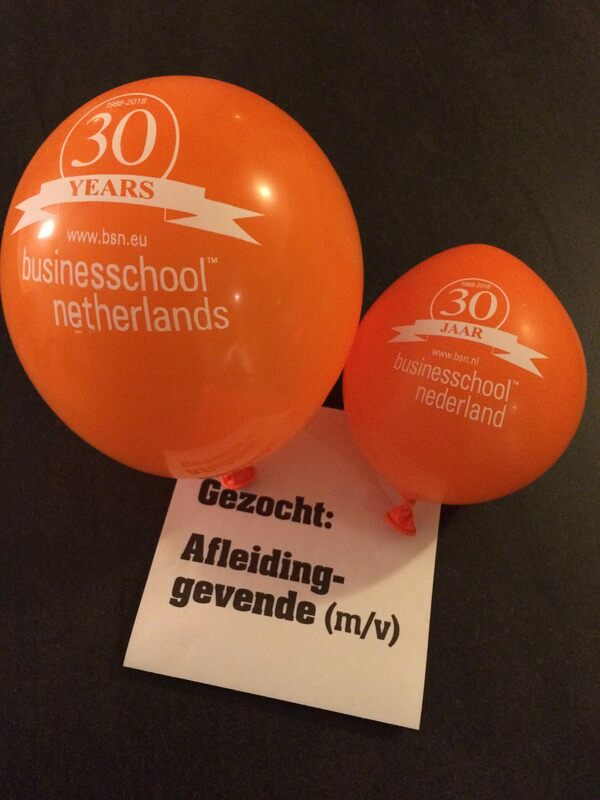 For example, Hessiëlle van Dam, MBA, went ’30 years upstream with BSN’ by releasing the BSN balloon in a river. The adventure of our ‘orange tourist’ continued in Argentina, Croatia, Suriname, Spain, China, Germany, Finland, Iceland, Scotland and Sri Lanka. 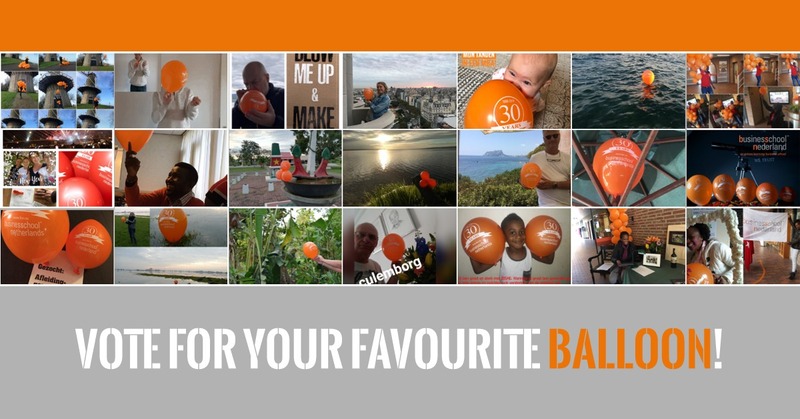 An amazing joint effort resulted in our jubilee balloon travelling around the world in 9 months! Not only local and international landscapes formed the setting for this photo competition. 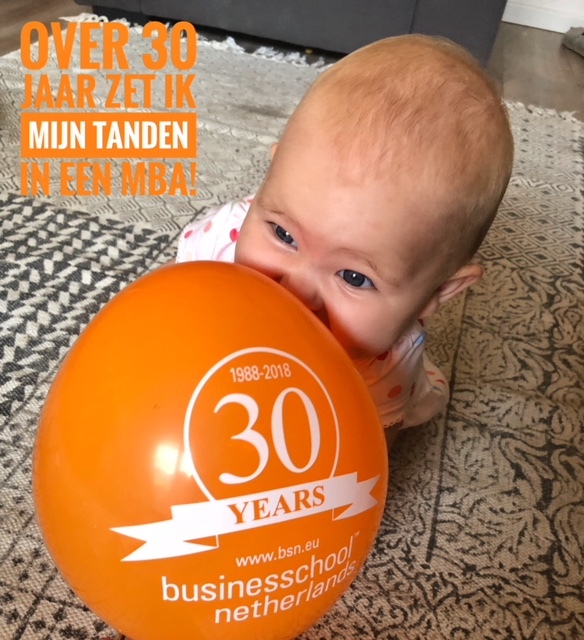 For example, Martijn van Brakel aimed for the ‘higher grounds’, Adri Fijneman, MBA, was in search of a ‘disruptive manager’, Jerry Manduapessy, MBA, kicked off the year 2018 with a ‘Happy New Year – Ready for the next level: the DBA!’ and Lis will put her teeth in an MBA in 30 years (How is that for future ambition? ;)). September 22nd… the votes are counted… and the winner is … Lis! She was given her own personalised iPad. In honourable second place is Isaac Fasetire. He was presented with the book ‘Make Disruption Work, a CEO handbook for digital transformation’. Congratulations!